Diocese of Rochester | Church cooking competition championing Kent food now open! Church cooking competition championing Kent food now open! A Church of England cookery competition to champion Kent produce is now seeking entries. 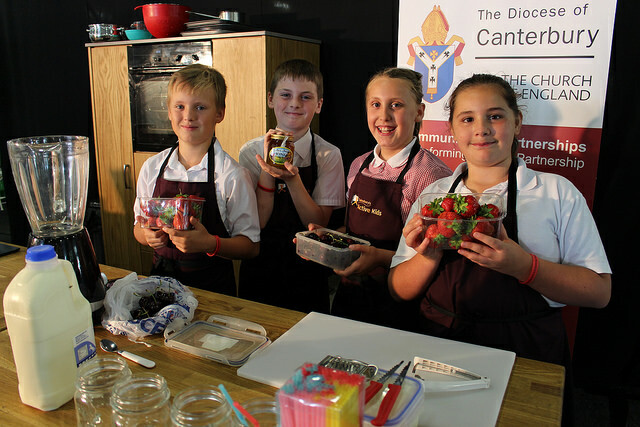 Open to all primary-school aged children across Kent, the Kent is Delicious Cookery Competition has been organised by the Communities and Partnerships Framework at the Diocese of Canterbury , and is very easy for any primary or junior school, home-school group, or Rainbow, Cub or Scout pack to get involved with. All that those wanting to take part need to do is to create a breakfast dish that uses as many local and seasonal ingredients as possible. Entries can be made online or by post. With a 1st prize of £300, 2 runners-up prizes of £100 (given in vouchers) to put towards a cookery or gardening project, and a chance to cook at the Kent County Show up for grabs, it’s well worth stepping up to the ‘hot’ plate to get involved. The lucky finalists get to recreate their dishes at the Kent County Show and then have them judged by an expert panel of local food and farming producers and experts. With so much of Kent dedicated to farming and food production, the competition was developed as a way to support and show the value of the sector, as well as giving young people an opportunity to develop new skills and grow in self-esteem, learn more about where they live and have fun! “With so much confusion among young people about where their food comes from, Kent is Delicious is a really fun way for children to get hands-on with their food and to learn about the produce grown on their doorstep. Anyone interested in finding out more should visit the competition website at: www.kentisdelicious.org You can also email kentisdelicious@diocant.org. Entries must be received by Friday 25 May.